Pamplona Alta slum, Lima, Peru. Marc and BetsabÃ© are 17 years old. 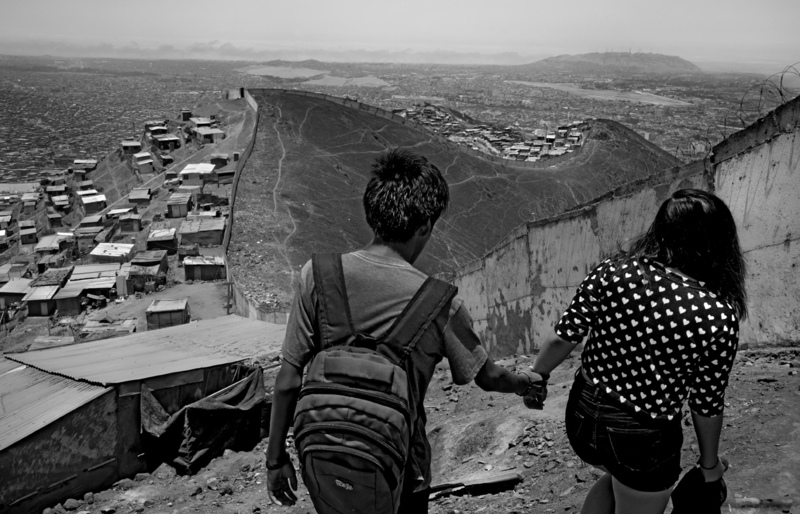 They've met in their school in Pamplona Abaja (Lower Pamplona, were the slum is more urbaniuzed and connects with Lima city). Thye both live in Pamplona Alta with their families and expect to join a public univeritiy the following year.